The editors of Outdoor Photographer Magazine (OP) have chosen my image "Foggy Dawn" as the lead photo for the Current Assignment—Telephoto Techniques. There is a link embedded into the adjacent image to take you to OP's Blog where you can see the image in the published context of the assignment. The editors of Outdoor Photographer Magazine (OP) chose my photo "Moose's Tooth Massif" as winner of the Winter Fog and Mist assignment. There is a link embedded in the adjacent image to the OP Blog where you can view the published announcement. Assignments have weekly winners that are featured on the OP website homepage, Facebook, Twitter and Instagram. The editors of Outdoor Photographer Magazine (OP) chose my photo "Brain Rock" as today's Photo Of The Day. There is a link embedded in the adjacent image to the OP Blog where you can view the published announcement. Assignments have weekly winners that are featured on the OP website homepage, Facebook, Twitter and Instagram. The editors of Outdoor Photographer Magazine (OP) chose my photo "Stickwan Creek" as today's Photo Of The Day. There is a link embedded in the adjacent image to the OP Blog where you can view the announcement. Assignments have weekly winners that are featured on the OP website homepage, Facebook, Twitter and Instagram. The editors of Outdoor Photographer Magazine (OP) chose my photo "Fiery Cascades" as today's Photo Of The Day. There is a link embedded in the adjacent image to the OP Blog where you can view the announcement. Assignments have weekly winners that are featured on the OP website homepage, Facebook, Twitter and Instagram. The editors of Outdoor Photographer Magazine (OP) chose my photo "Seasonal Cataract" as today's Photo Of The Day. There is a link embedded in the adjacent image to the OP Blog where you can view the announcement. Assignments have weekly winners that are featured on the OP website homepage, Facebook, Twitter and Instagram. 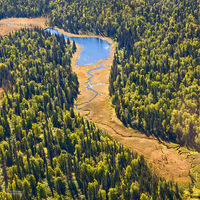 The editors of Outdoor Photographer Magazine (OP) chose my photo "Taiga Meanders" as today's Photo Of The Day. There is a link embedded in the adjacent image to the OP Blog where you can view the announcement. Assignments have weekly winners that are featured on the OP website homepage, Facebook, Twitter and Instagram. 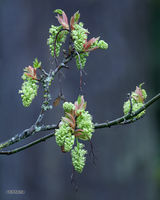 The editors of Outdoor Photographer Magazine (OP) chose my photo "Big Leaf Maple Blooms" as today's Photo Of The Day. There is a link embedded in the adjacent image to the OP Blog where you can view the announcement. Assignments have weekly winners that are featured on the OP website homepage, Facebook, Twitter and Instagram. The editors of Outdoor Photographer Magazine (OP) chose my photo "Kalalau Falls" as today's Photo Of The Day. There is a link embedded in the adjacent image to the OP Blog where you can view the announcement. Assignments have weekly winners that are featured on the OP website homepage, Facebook, Twitter and Instagram. The editors of Outdoor Photographer Magazine (OP) chose my photo "False Kiva Alcove" as today's Photo Of The Day. There is a link embedded in the adjacent image to the OP Blog where you can view the announcement. Assignments have weekly winners that are featured on the OP website homepage, Facebook, Twitter and Instagram. The editors of Outdoor Photographer Magazine (OP) chose my photo "Broken Arch View" as the Photographic Portals Assignment winner. Assignment winners are featured on the OP website homepage. A link to OP's blog with the image and text explaining where the image was made and how to get to the same position where it was made from, is embedded in the adjacent photo. The editors of Outdoor Photographer Magazine (OP) chose my photo "The Snow King" as today's Photo Of The Day. There is a link embedded in the adjacent image to the OP Blog where you can view the announcement. Assignments have weekly winners that are featured on the OP website homepage, Facebook, Twitter and Instagram. The editors of Outdoor Photographer magazine (OP) have published a feature article titled "8 Inspiring Wildlife Photography Adventures" which included my image, "Foggy Dawn." A link to OP's blog of the complete feature article, including all of the images with accompanying text, is embedded in the adjacent photo. The editors of Outdoor Photographer Magazine (OP) chose my photo "Looking for Light" as today's Photo Of The Day. There is a link embedded in the adjacent image to the OP Blog where you can view the announcement. Assignments have weekly winners that are featured on the OP website homepage, Facebook, Twitter and Instagram. The editors of Outdoor Photographer Magazine (OP) chose my photo "Rock With Wings" as today's Photo Of The Day. There is a link embedded in the adjacent image to the OP Blog where you can view the announcement. Assignments have weekly winners that are featured on the OP website homepage, Facebook, Twitter and Instagram. The editors of Outdoor Photographer Magazine (OP) chose my photo "Watchful Mom" as today's Photo Of The Day. There is a link embedded in the adjacent image to the OP Blog where you can view the announcement. Assignments have weekly winners that are featured on the OP website homepage, Facebook, Twitter and Instagram. The editors of Outdoor Photographer Magazine (OP) chose my photo "Cave Creek Canyon" as today's Photo Of The Day. There is a link embedded in the adjacent image to the OP Blog where you can view the announcement. Assignments have weekly winners that are featured on the OP website homepage, Facebook, Twitter and Instagram. The editors of Outdoor Photographer Magazine (OP) chose my photo "Alien World" as today's Photo Of The Day. There is a link embedded in the adjacent image to the OP Blog where you can view the announcement. Assignments have weekly winners that are featured on the OP website homepage, Facebook, Twitter and Instagram. 123photogo has selected my image "Foggy Dawn" as one of their photos of the year. There is a link embedded in the photo that will take you to the news article. Scroll down to Wednesday, December 12, 2016 to view it. The editors of Outdoor Photographer magazine (OP) have placed my image, "The Snow King", on the Home page of their website for the "Behind The Shot" feature. There is a link to the feature on OP's blog, including text explaining how I chose the location, time of capture and some apps I used to make those choices embedded in the adjacent photo. The October issue of Outdoor Photographer magazine (OP) includes my photo “Foggy Dawn” in the Behind the Shot feature. The spread, covering facing pages, contains the image and text explaining the motivation, capture and meaning of the image. A link to OP's blog is embedded in the adjacent photo. The editors of Outdoor Photographer Magazine (OP) chose my photo "Fox Creek" as the Shades of Green Assignment winner. Assignment winners are featured on the OP website homepage and several images from the Assignment Winners Gallery are featured in the Best of Assignments section of the print magazine. A link to OP's blog with the image and text explaining the images is embedded in the adjacent photo. The editors of Outdoor Photographer Magazine (OP) chose my photo "Tetlin National Wildlife Refuge" as today's Photo Of The Day (POTD). POTD is chosen from various OP galleries, including Assignments. Assignments have weekly winners that are featured on the OP website homepage and several images from the Assignment Gallery are featured in the Best of Assignments section of the print magazine. The editors of Outdoor Photographer Magazine (OP) chose my photo "Catch Me If You Can" as today's Photo Of The Day (POTD). POTD is chosen from various OP galleries, including Assignments. Assignments have weekly winners that are featured on the OP website homepage and several images from the Assignment Gallery are featured in the Best of Assignments section of the print magazine. The editors of Outdoor Photographer Magazine (OP) chose my photo "Muskeg: Tundra and Taiga" as today's Photo Of The Day (POTD). POTD is chosen from various OP galleries, including Assignments. Assignments have weekly winners that are featured on the OP website homepage and several images from the Assignment Gallery are featured in the Best of Assignments section of the print magazine. The editors of Outdoor Photographer Magazine (OP) chose my photo "Morning Glow" as the Sunrise Assignment winner. Several images from the Assignment Gallery are featured in the Best of Assignments section of the print magazine. This image was published in the June 2014 issue of OP along with three other photographer's images from different Assignments. A link to OP's blog with the image and a description is embedded into the adjacent photo. The editors of Outdoor Photographer Magazine (OP) chose my photo "White Mountain Delight" as today's Photo Of The Day. Assignments have weekly winners that are featured on the OP website homepage and several images from the Assignment Gallery are featured in the Best of Assignments section of the print magazine. There is a link embedded in the adjacent image to the OP Blog where you can view the announcement. The editors of Outdoor Photographer Magazine (OP) chose my photo "Olympic Mountain Alpenglow" as today's Photo Of The Day. Assignments have weekly winners that are featured on the OP website homepage and several images from the Assignment Gallery are featured in the Best of Assignments section of the print magazine. There is a link embedded in the adjacent image to the OP Blog where you can view the announcement. The editors of Outdoor Photographer Magazine (OP) chose my photo "Second Beach Sea Stack" as today's Photo Of The Day. Assignments have weekly winners that are featured on the OP website homepage and several images from the Assignment Gallery are featured in the Best of Assignments section of the print magazine. There is a link embedded in the adjacent image to the OP Blog where you can view the announcement.